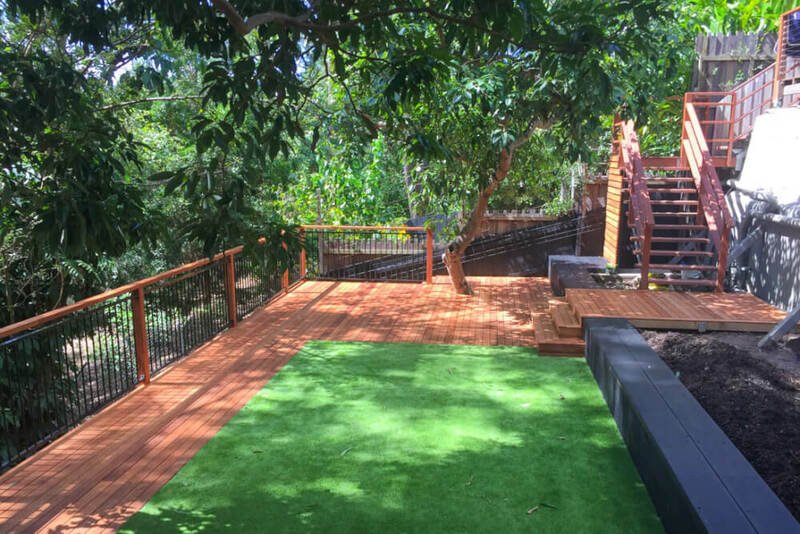 Backing onto the Currumbin Wildlife Sanctuary, this family home was in need of a Currumbin landscaping design plan that could create a usable space for the kids and adults and take advantage of the location. 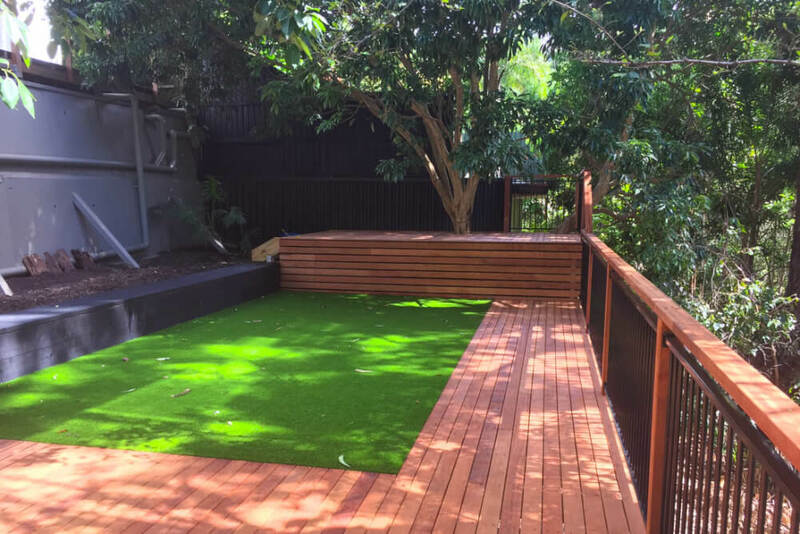 With a growing young family, our clients wanted to create a safe environment for their kids to play as well as an area where they could entertain guests. 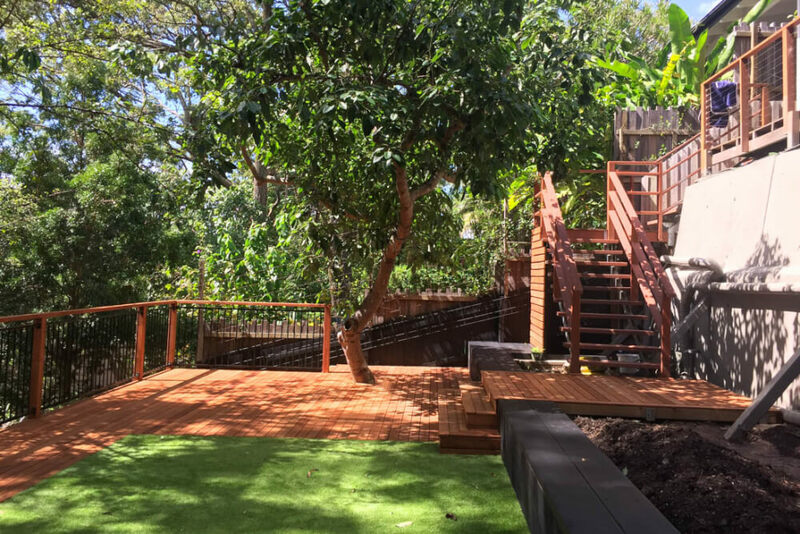 The previously unsafe and unusable space that sloped down to the Currumbin Sanctuary was converted into a retained garden and deck area consisting of three zones; a tree house for the kids built around a giant Lychee tree, a spacious artificial turf zone for play and an area with inbuilt seating for the adults. 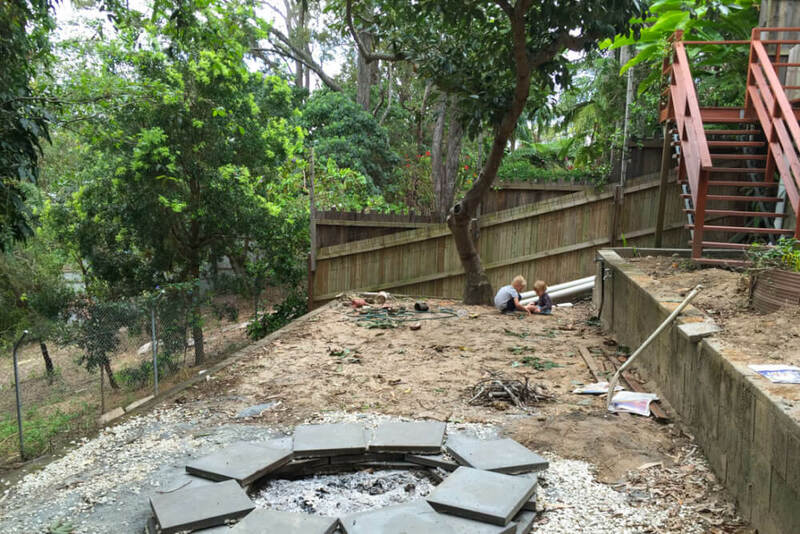 The raised garden bed edged with bench seating and butting up to the deck contains a flagstone path that weaves its way through the garden to the tree house. 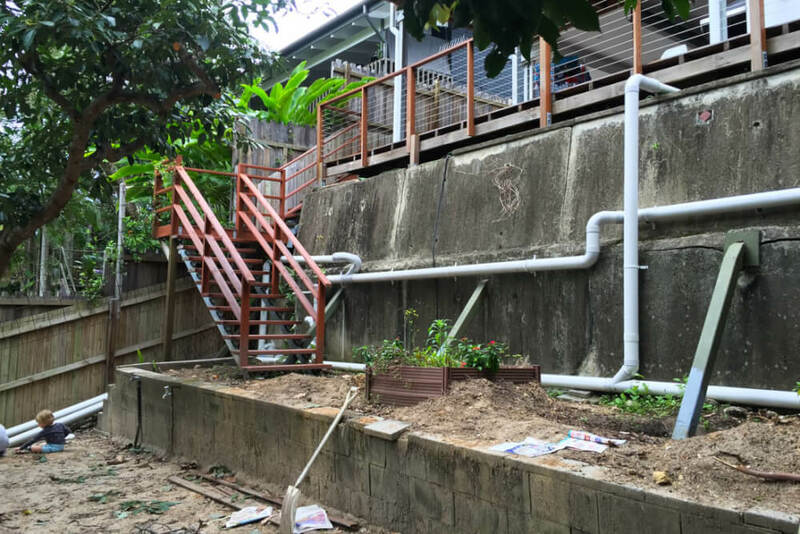 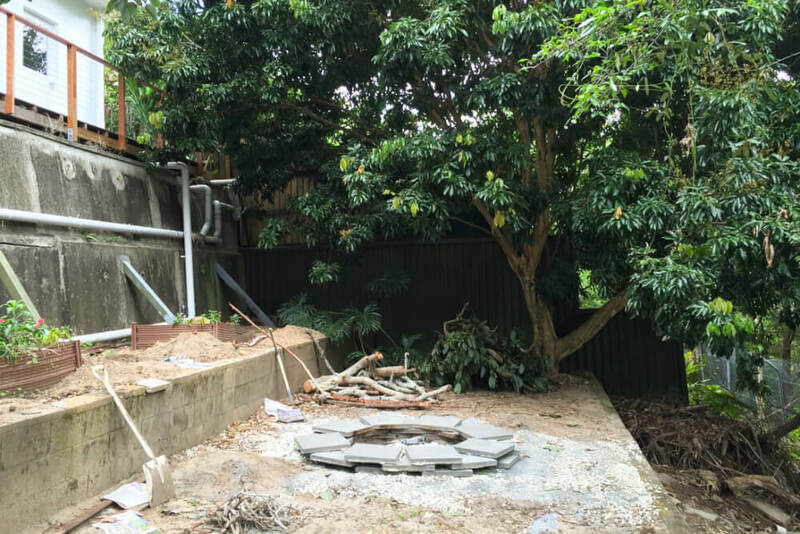 Climbers are being trained to grow up a metal framework attached to a concrete wall that stretches up to the residence positioned above at this Currumbin landscaping project.